United Way campaign has reached its halfway point. 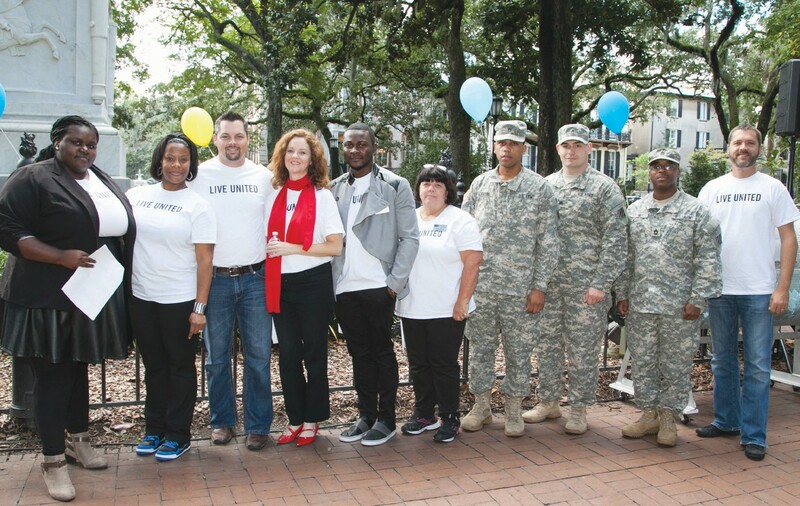 United Way of the Coastal Empire reported it has raised $3,741,925 or 42 percent toward the community wide goal of $8,888,888 to help people in Bryan, Chatham, Effingham and Liberty counties. The campaign ends on November 21, 2014. With five weeks remaining until the conclusion of the campaign, Campaign Chair Jenny Gentry, market president of Wells Fargo, reported the results during a festive Mid-Campaign Rally held today in Monterey Square. Since early September, hundreds of volunteers have spent thousands of hours asking residents of the Coastal Empire community to help United Way reach its goal. Funds raised during the annual campaign help support human service programs that improve the lives of people in Bryan, Chatham, Effingham and Liberty Counties. Priority funding goes to successful programs in the issue areas of Education & Youth Development, Economic Independence, Health & Wellness and Basic Human Needs. “The impact of donors’ contributions to United Way is incredible. On average, collectively every $1 invested to The Community Fund helps our funded programs secure an additional $1 in cash, goods and services from other sources,” Gentry said. “With that in mind, we hope to rally people who haven’t contributed already and remind them why it is important to make a gift. Together, we will finish strong.” Gentry commended donors and volunteers for the campaign’s progress and told the re-energized crowd that their hard work and dedication is showing results. Gentry also expressed a sincere appreciation to the 19 United Way Loaned Associates and the companies, organizations and individuals they represent. Loaned Associates are loaned by their employers or company sponsored to assist United Way staff in the development and implementation of workplace campaigns. Loaned Associates keep fundraising costs low by maximizing staff and volunteer efforts. Special thanks to Joe Steffen of Savannah State University for his recruitment and leadership of our Loaned Associates program. The final fundraising total will be announced at United Way’s Victory Celebration on Friday, November 21, 2014 at 11:45 am at Hyatt Regency Savannah. United Way is a volunteer driven organization that involves hundreds of community leaders, professionals and other volunteers in every aspect of our business, including fundraising, marketing and funding decisions, to ensure that your donations are truly making a difference. For more information, please visit www.uwce.org.